Wonderful memories are made at Clyde Auditorium. Fondly known as 'The Armadillo' to locals, it shines and sparkles in the sun, as much as the stars who turn up here to entertain the lucky crowds of fans. Make sure your concert lives up to your high expectations. An evening here deserves nothing but the best. Sitting pretty by the river Clyde, its slightly alone. Not to worry. Those in the know can find top places for smart pre-theatre meals, as well as relaxed and buzzing places for a drink. If you're looking for a bed for the night too, there are useful options for a comfy night nearby - whatever budget you're working on. 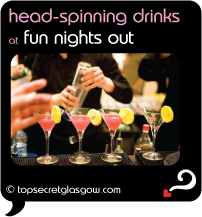 Feeling excited about your evening at Clyde Auditorium? You should be...;-) Getting the party started before heading to the venue is always a cool idea. Brel /Browse/Restaurant/Brel(reveal best table deals?) makes its home in an old coach house in Ashton Lane. In Summer the wide doors are flung open, and the beer garden out back is very popular. And the food served has a Belgian spin. No, really...;-) HUGE pots of moules with crispy fries, washed down with a bottle of imported Belgian beer hit the spot perfection. Also with its own leafy beer garden, and barbeques in Summer, Cottiers Restaurant /Browse/Restaurant/Cottiers(reveal best table deals?) hits heavenly heights in the rafters of a gorgeous converted church. The food has aspects from South America, so expect perfect fajitas to come your way. Golden and shimmering, this makes a truly dazzling place for some lively Clyde Auditorium pre-theatre dining. 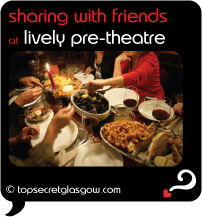 If you're planning a Big Date or a different special occasion, a spot of intimate Clyde Auditorium pre-theatre dining will be on the cards. An easy walk away - or 3 minutes by taxi - sits the one and onlyThe Sisters Kelvingrove /Browse/Restaurant/The_Sisters_Kelvingrove(reveal best table deals?) A cool dining room, which has a splash or two of Scottish art and tartan, is kept warm by the friendly welcome and amazing meals served up. Charm and an easy grace disguise the expert work going on here. All the gorgeous details of the old Buttery, without the starch and pomp, have been kept alive and shining at Two Fat Ladies at The Buttery /Browse/Restaurant/Two_Fat_Ladies_at_The_Buttery(reveal best table deals?) . Sure to impress, any meal here lives long in the memory. With just cause, too. Excellent Scottish cuisine is served by a strong team here. Take a short stroll over to Argyle Street, and hidden nearby you'll discover the delights of The 78 . Cool and laid back, locals in the know love to keep this gem to themselves. Light and airy, its also serene and chilled. If you have the munchies, try some of the mouth watering vegan food they serve... Heaven on a plate. Hopefully you'll have some time to spare, when visiting Clyde Auditorium. Its great fun to put on a tourist hat now and again, and do a little exploring. Towering beside your venue, and gleaming every day, the landmark The Crowne Plaza /Browse/Restaurant/One_Restaurant_at_the_Crowne_Plaza(reveal best table deals?) welcomes guests for chic, modern stays. Views along the river, top service and facilities make this a fave place to stay, for very good reasons. Glasgow is one of the most friendly cities - anywhere. It goes out of its way to make sure every visitor has fun times, no matter the size of their budgets. 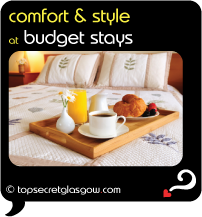 Townhouse Hotel http://www.laterooms.com/en/p8275/hotel-reservations/150000_the-townhouse-glasgow.aspx(reveal best room deals?) 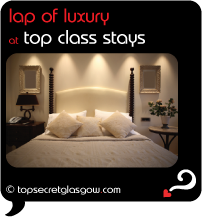 makes its home in one of the most impressive curved terraces in Glasgow's West End. Comfort and service are top of the menu in this mid-range stylish hotel. Lots of people prefer staying in a laid back guest house when away from home. Along the West End of Sauchiehall Street, Argyll Guest House http://www.laterooms.com/en/p8275/hotel-reservations/180375_argyll-guest-house-glasgow-glasgow.aspx(reveal best room deals?) knows this, and keeps guests comfy and well fed. Check out the Scottish breakfast served here! Perched on the edge of beautiful Kelvingrove Park, its in a fab spot, too. How was your evening? Bet the concert rocked. In a venue as good as Clyde Auditorium, there is no such thing as a bad seat... So why not share your memories here? Add a photo if you have one. Great news! 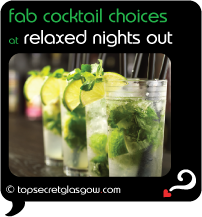 Finding this page means you can now join our VIP list for Clyde Auditorium. Grab your very own web page all about Clyde Auditorium. 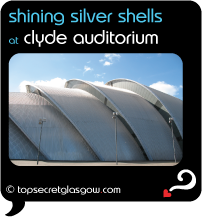 Do you have a special story about Clyde Auditorium? A funny experience? A grand occasion? A funky photo? A personal tip? A top secret? Opening times vary, according to individual performance times.